As a family we’ve always loved board games and card games, we’ve got a cupboard full of them. There’s nothing better on a rainy day than gathering the family round to play a fun board game – so much better than sitting in front of the TV or twiddling buttons on video games! So we were really pleased when we were offered the chance to try two games thanks to Tactic Games and www.blog-match.com. 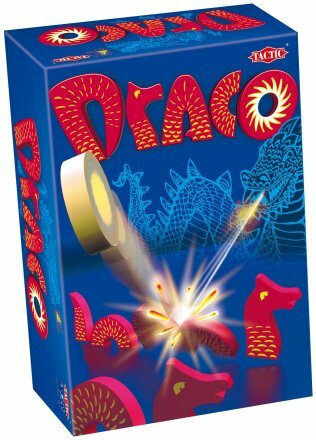 The first game we were sent to try was Draco which is for two players (or two teams). 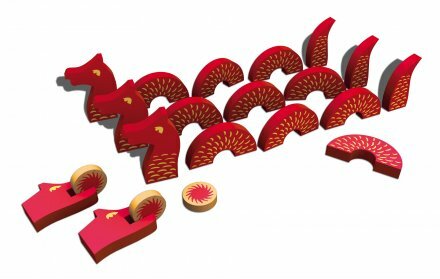 Basically it consists of three sets of wooden dragon pieces, and discs which you ‘shoot’ at the opposing dragon. When you knock down a middle section of the other player’s dragon it gets added to your own dragon. The aim is to finish up with the biggest dragon (or biggest Loch Ness Monster as certain member of the family insisted on calling it!). We enjoyed this game, it was fun and simple. The discs were easy to aim and flick, and the concept is easy to grasp even for young children. The only down side we found was that the pieces kept landing on the floor, so you had to keep bending down to pick them up, which isn’t easy when you’re full of aches and pains! Henry was very helpful though and picked some of the pieces up for me! This would probably be better if you had a bigger table than we did, so less bits of dragon would end up on the floor! We wouldn’t normally buy this type of game, but we loved it, possibly because it’s so different from the games we usually play. 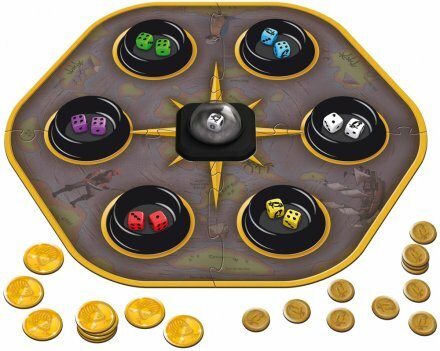 The action die tells which dice to roll: your own or another player’s. The aim is to be the player with the highest score when Blackbeard’s ghost appears and shows where the loot is buried. He will reward the wealthiest player with a piece of the treasure! To start with we found this very confusing (well I did anyway! ), I don’t think the instructions were very clear. The first time we played it we didn’t really enjoy it, because we weren’t really sure what we were doing. But once we got the hang of it we really liked it. We found that the greater the number of players, the greater the amount of fun to be had. 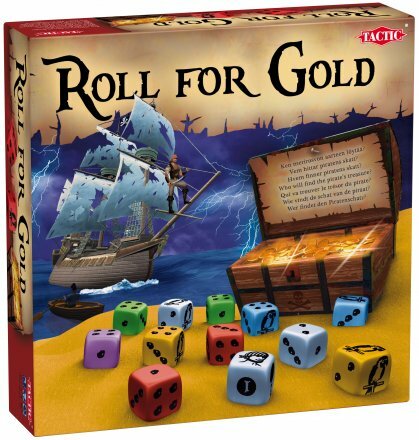 Young pirate fans will love this game! These are just two of the many fantastic games from Tactic games – visit www.tactic.net for more information and to browse the games. You can purchase the games online at www.carouseltoyshop.co.uk.